Child HeLP, our partnership with Cincinnati Children’s Hospital Medical Center, was recognized in April 2016 as a 2016 Outstanding Medical-Legal Partnership at the National Medical-Legal Partnership Summit! Congratulations to the Child HeLP team! 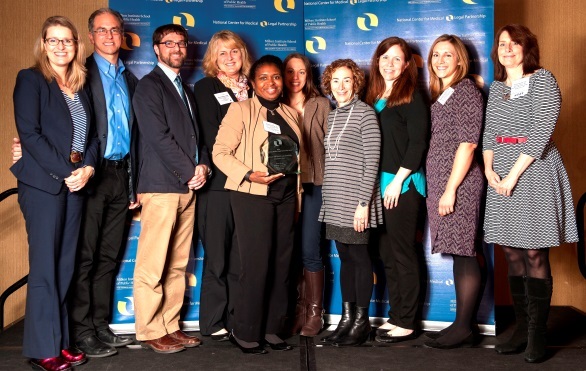 (Award photo, left to right): Megan Sandel from the National Center for MLP, Robert Kahn, Andy Beck, Deanna White, Donita Parrish, Melissa Salamon, Elaine Fink, Adrienne Henize, Virginia Tallent and Ellen Lawton, from the National Center for MLP.